Slip and fall injuries are becoming an epidemic in the U.S., with the total annual cost of such injuries exceeding $60 billion.Such injuries are the most common accident in the workplace. 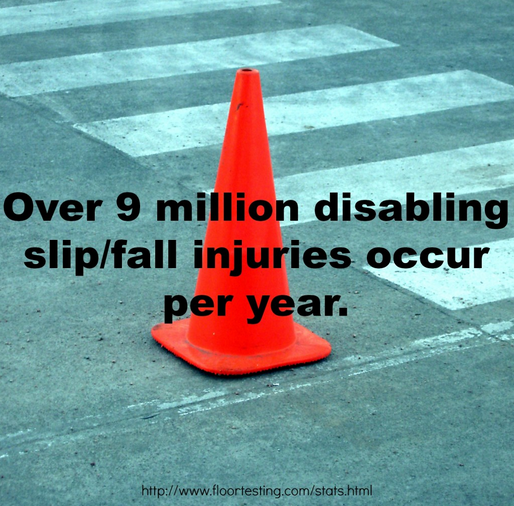 Statistics show that there are about 25,000 slip and fall injuries that occur every day, which result in an estimated 95 million lost work days yearly. Perhaps we should be crying over spilled milk if it means guests and employees may slip and fall in it. If you’ve been the victim of a slip and fall accident, contact Dan Simon, an experienced slip and fall attorney in Las Vegas at (702) 364-1650 to schedule a free consultation.